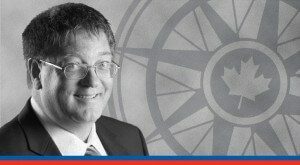 OTTAWA, August 10, 2017 – The Macdonald-Laurier Institute’s Ken Coates is set to receive prestigious formal recognition of his thought leadership in the Indigenous business community. "This award is further evidence, if any was needed, of MLI's unique and unprecedented success in establishing itself as the voice for entrepreneurship, prosperity and opportunity in the natural resource sector as the keys to improving the economic and social status of Indigenous Canadians,” said Brian Lee Crowley, MLI’s Managing Director. “Aboriginal communities, governments and industry all look to MLI Senior Fellow Ken Coates to be a thoughtful, trustworthy and timely thought leader on the obstacles to Aboriginal economic success and how to remove them. No one in Canada is more deserving of this prestigious award than Ken." Coates has been the driving force behind MLI’s Aboriginal Canada and the Natural Resource Economy project, which has generated the policy ideas needed to chart a path to prosperity for Indigenous peoples. “It is an enormous honour to be recognized by the Canadian Council for Aboriginal Business, the flag-bearer for this remarkable and sustained capacity and wealth-building enterprise, for my work in encouraging collaborations and partnerships between the private sector, government, and Indigenous communities,” said Coates. The series has earned Coates attention in the most respected forums for public policy debate in Canada and he is highly sought after to counsel government at all levels, business, and Indigenous communities on how to move past conflict and division to partnership and prosperity through resource development. His work has appeared in major media outlets such as the Globe and Mail, the National Post and CTV. Coates will be honoured at CCAB’s 15th Annual Vancouver Gala on September 28, 2017. You can find more information here.